I’m taking a break from cocktail writing this week. I hope you all have a fantastic Thanksgiving holiday and certainly hope it includes delicious cocktails. If you’re looking for some inspiration here are a few links from last year to get you started. Enjoy my friends and I’ll catch you next week. I’m starting to notice a bit of a trend here. Pink cocktails are delicious. Now I have no doubt we could whip up something pink that would taste terrible, but for the most part I think my contention holds true. The El Presidente certainly follows this rule to a tee. I didn’t make any real alterations to the recipe this week, just tweaked it to my liking. So, let’s start with the recipe then we’ll talk tweaks. Looks almost exactly the same, but it’s different I swear. The first tweak is I experimented with is the amount of grenadine. I found anywhere from 1/4 – 1/3 oz of my homemade grenadine to be great. My personal choice is 1/4 oz as it results in a drier cocktail that I think really works wonderfully in this case. The only other tweak I’d suggest is pick a rum that you love for this drink. I tried my house white rum, Flor de Caña, and Rhum Clemént Première Canne. Both resulted in fantastic cocktails but for this application I prefer the Flor de Caña. 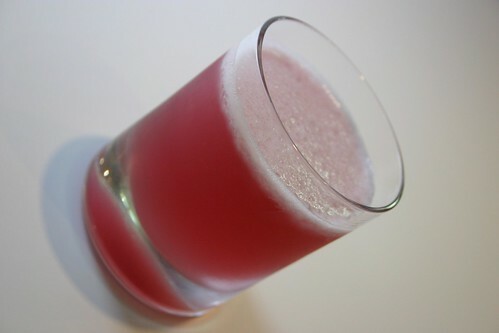 It allows the juices and grenadine to take center stage in the flavor profile which is exactly what I was looking for. I will definitely be adding this drink to my regular rotation and I highly recommend you give it a try. Seeing as this week’s cocktail, El Presidente, calls for white rum it seems a perfect time to review one I got in the mail some time back, Rhum Clement Premiere Canne. 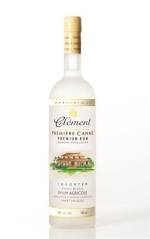 Rhum Clement is a rhum agricole meaning that it’s distilled from sugar cane juice rather than molasses. Like Cachaca this gives Rhum Clement a distinctly more grassy note that I find quite pleasant. As I bring my glass up for a sniff the first thing I notice is a subtly sweet grassy aroma that is both characteristic of rhum agricole and very pleasant. Next I note the crisp cleanliness of the aroma. It isn’t deeply complex just pure and clean rum. The flavor amplifies the subtle notes that came out in the aroma. The sweetness although light is quick to present itself followed by the grassy notes of the sugar cane juice. Finally I note the crispness again as the rum finished on my palate. No strange aftertastes and no burn. Lovely stuff. How does it fair in an El Presidente? Quite well. The grassy notes still play through but work very well with the fruitiness of the juices and grenadine. I think this rum would also work fantastically in a Daiquiri. If you’re looking for a new white rum to try this one is certainly worth giving a shot. I know this makes for two rum drinks in a row, but the El Presidente* calls for white rum so it should be sufficiently different. In flipping through the Joy of Mixology looking for my next cocktail to conquer this one just sounded delicious. So there you have it. A glimpse in to my highly scientific selection process.